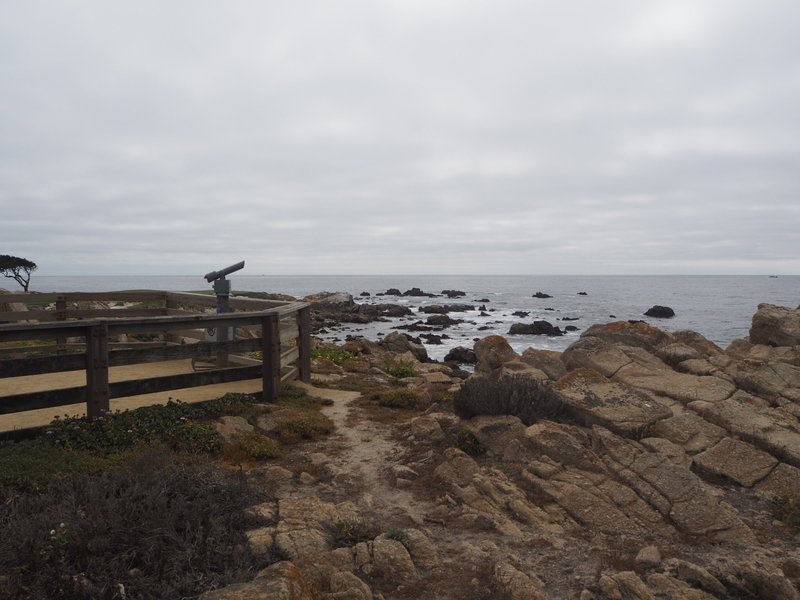 After leaving Monterey which you can read all about here – we headed south towards Pebble Beach to begin 17 Mile Drive. Billed as one of the most scenic drives in the world, we entered via the gate at Pebble Beach and paid the $10.25 per vehicle to enter. They only accept cash so make sure you have some. 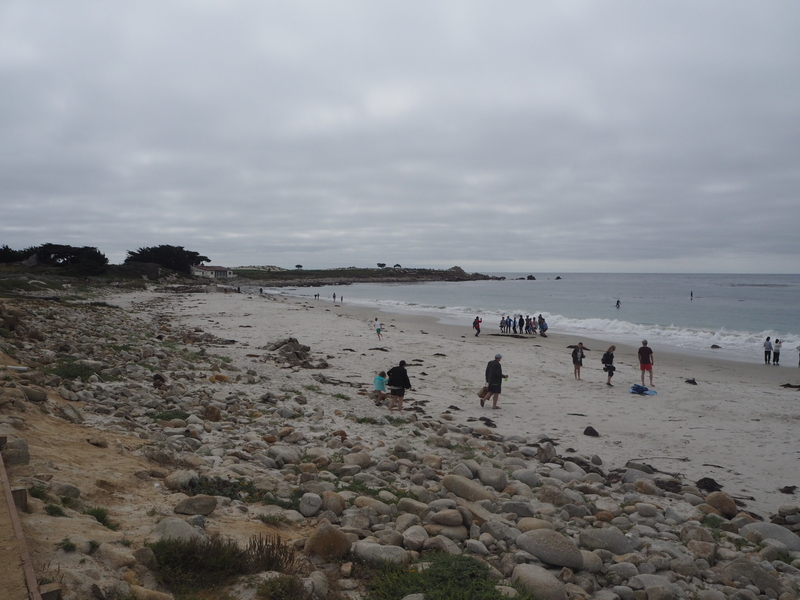 Our first stop was Spanish Bay Beach. A popular spot among surfers, Spanish Bay sits within the private gated community of Pebble Beach. There is a wooden boardwalk leading from North to South which provides a lovely walk along the beach. 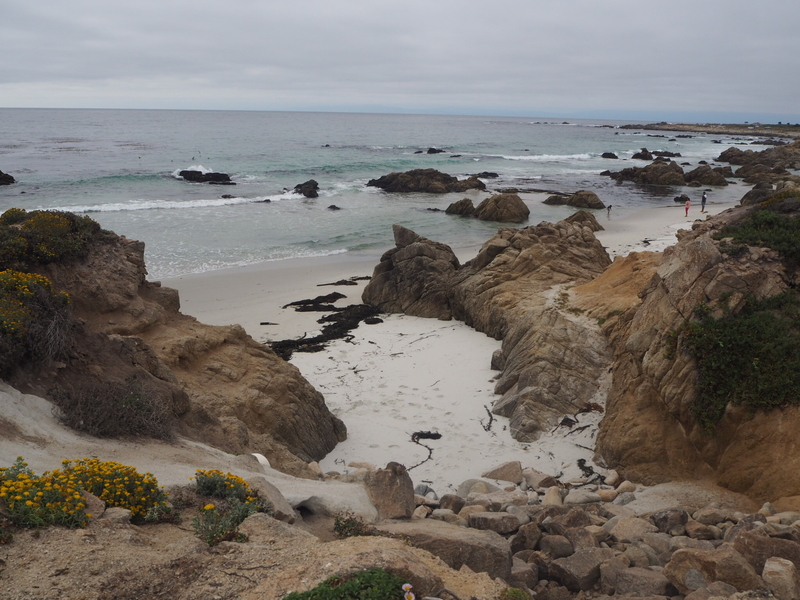 Next stop was Bird Rock Beach which is a small sandy cove just north of the picnic area. 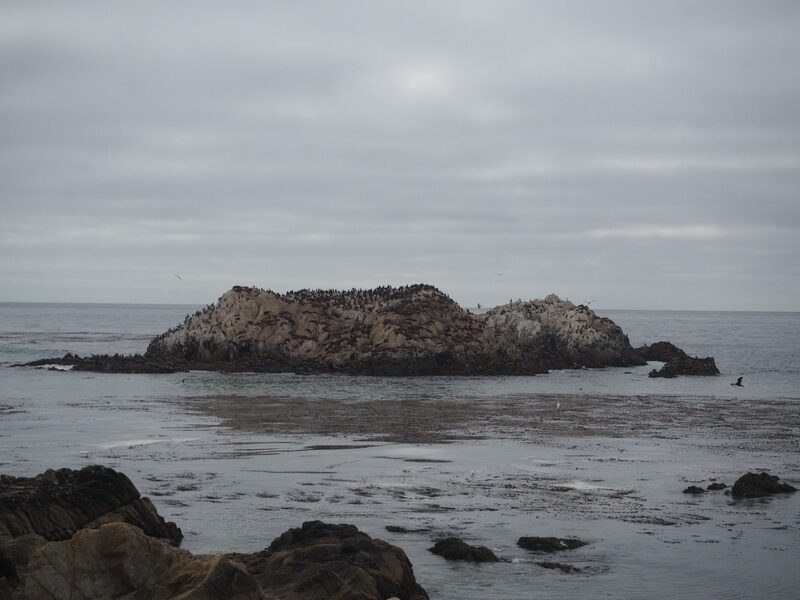 A popular bird watching spot, as it’s name suggests, Bird Rock is a giant rock sitting just off the coast and is a popular hangout for birds, seals and sea lions. This little guy seemed to be enjoying himself. Next on the agenda was Point Joe – named for a Chinese man called Joe who lived alone in a driftwood house nearby in the early 1900s. There are some great views here of the Restless Sea and Spanish Bay. Ships would often mistake Point Joe for being the entrance to Monterey Bay and set their course for this dangerous outlet. 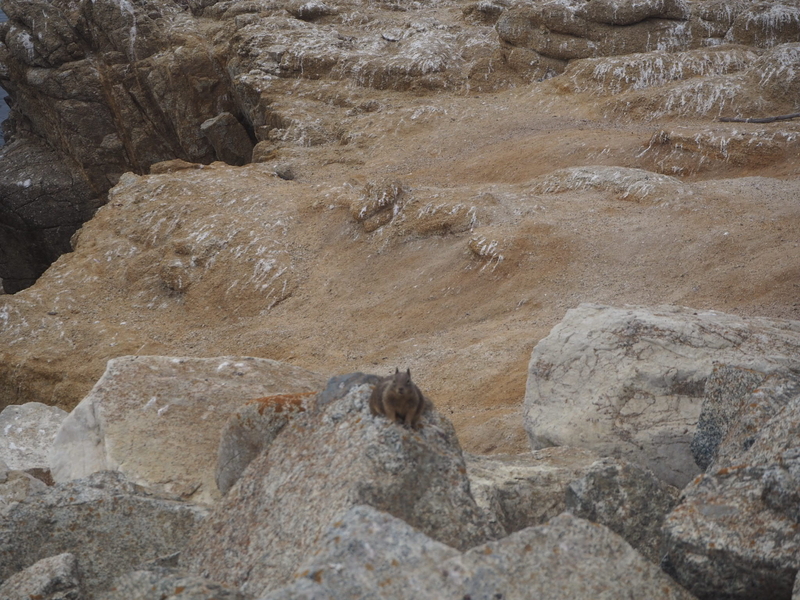 They would end up crashing into the rocks and many terrible shipwrecks have happened here. Fanshell Overlook was next on the agenda – a north facing beach with a rocky shoreline and small pockets of sand. Between April and June seals come here to have and raise their babies and during this pupping season the beach is closed to protect the seals. 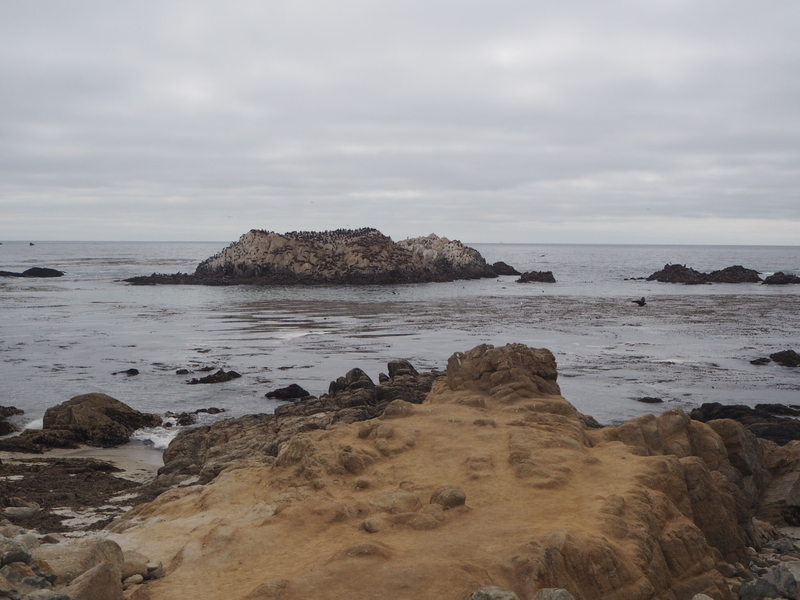 Of course there are plenty more stops along 17 mile drive but those were the ones we visited. You could spend all day stopping off at the many beaches and coves – we began the drive at 4pm and finished it just as the sun was setting. 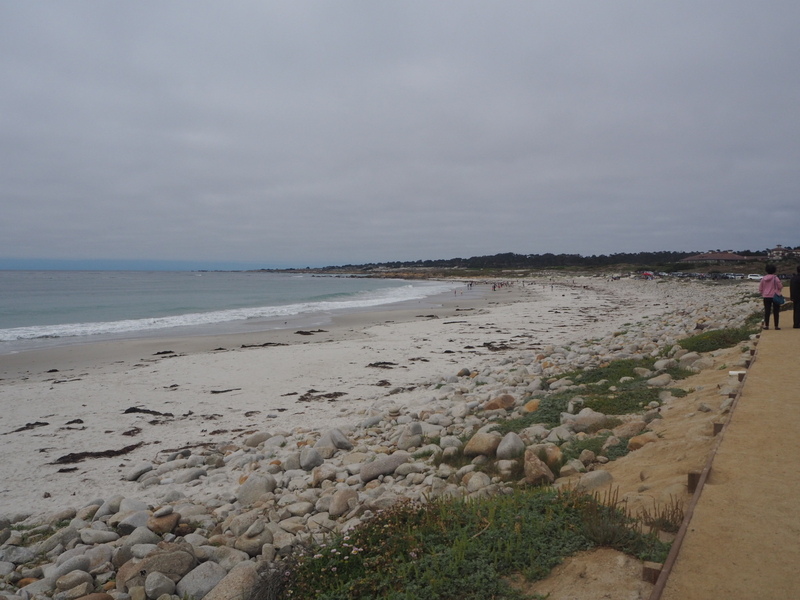 For more information on 17 mile drive take a look here. 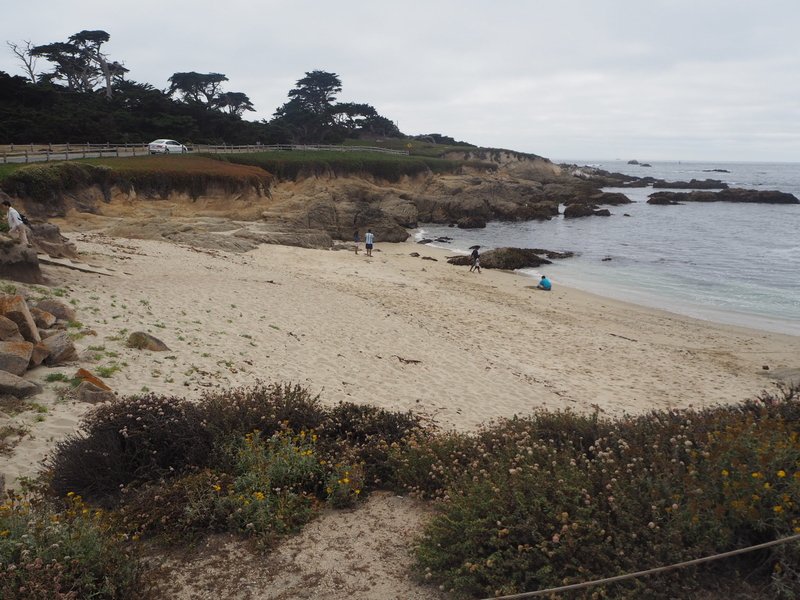 We then headed to Carmel By The Sea where we were staying for the night just in time for dinner. 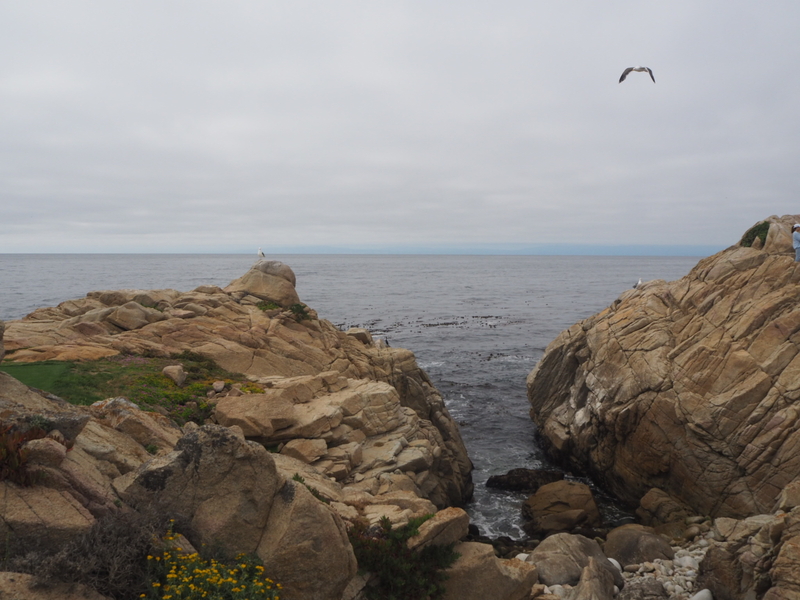 My next post will be all about the cute, quaint seaside town of Carmel.